Is Hearing Loss Covered Under Iowa Workers' Compensation? Generally, hearing loss is considered a scheduled member claim which can provide compensation of up to 50 weeks for deafness in one ear or up to 175 weeks for both ears. If you sustained partial hearing loss related to your work activities, then you would receive a percentage of the designated number of weeks. Also, your employer or their workers' compensation insurance company is required to pay for hearing aids due to a hearing loss related to your job. However, failing to take requested hearing tests or wear required hearing protection can result in an injured worker receiving no compensation for hearing loss. Also, your exposure to loud noises outside of work such as shooting a firearm, fireworks, etc., can affect your claim. What If I Have Ringing in My Ears? 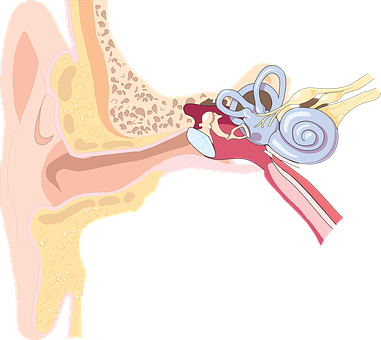 If in addition to hearing loss, you have ringing in your ears, a condition which is called tinnitus, then your claim will most likely be treated differently. If you have a work-related tinnitus injury then your claim will be evaluated on the basis of industrial disability, which means there are a number of factors which will determine the percentage of disability that you have based upon 500 weeks. For example, if you have significant hearing loss, have difficulty concentrating because of the ringing in your ears, etc., you could have an industrial disability of 10%, 20% or more. If you have 20% industrial disability, then you would be owed 100 weeks of permanent benefits. (500 X 20% = 100 weeks). Who Decides If I Have Hearing Loss or Tinnitus? An expert must conduct a hearing examination and prepare reports and/or testify about your hearing loss and/or tinnitus. 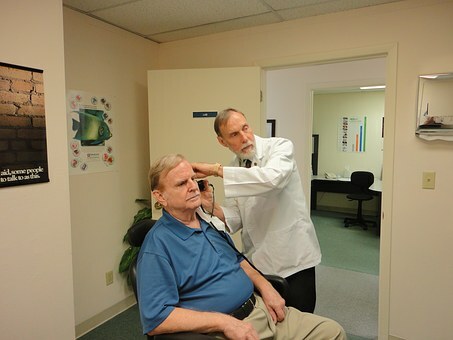 An audiologist is an individual with a doctorate in audiology who is well qualified to provide expert testimony as to the source and extent of hearing problems. Sometimes this process will start with an audiologist that your employer sends you to. This person may or may not give you a fair evaluation of your hearing loss problems, so you may want to obtain a second opinion on your own and consider legal representation to help you through the process. To receive a free book entitled "Iowa Workers' Compensation - An Insider's Guide to Work Injuries" which discusses Iowa work injuries, including the "7 Deadly Mistakes To Avoid If You Are Hurt At Work", Call Now 1-800-707-2552 (ext. 511) (24-Hour Recorded Message) or click on the link to request your copy. Why offer a book at no cost? Iowa workers' compensation attorney Corey J. L. Walker practices primarily in workers' compensation law and has represented hundreds of Iowans hurt at work. He has seen too many injured employees from Des Moines, Newton, Cedar Rapids and throughout the state of Iowa make mistakes before they had the “right” information about work injuries, resulting in them losing thousands of dollars. Iowans hurt on the job are beginning to realize that the insurance company is not there to help them and that they should have someone on their side. Finally, you can learn about work injuries in the comfort of your own home with no cost, risk or obligation. For immediate assistance call 641-792-3595 and ask for Corey.